Rent Buffalo Valley Event Center | Corporate Events | Wedding Locations, Event Spaces and Party Venues. The Buffalo Valley Event Center is a special events venue that provides for many unique event opportunities. Whether you have 100 guests or 1200; intimacy, elegance and tranquility are guaranteed. 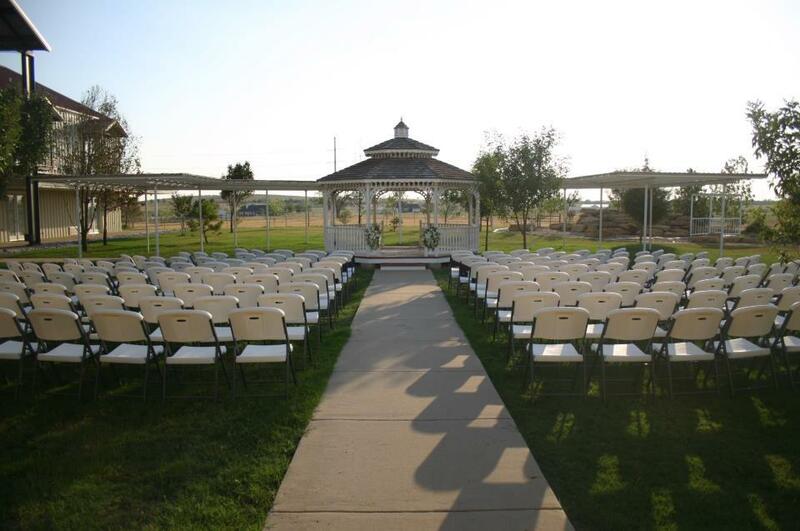 urrounded by the spectacular beauty of Texas, Buffalo Valley Event Center is the picturesque choice for beautiful weddings, receptions, rehearsal dinners, special occasions, and corporate events. We customize every wedding and event and focus on exceptional customer care along a full service of amenities including both indoor and outdoor options for your wedding or event. Our facility is located on a beautiful 100 acre ranch site in Denton Texas conveniently accessible ½ mile just off of I-35 and has over 13,500 square feet of space that features a full size bar, dance floor, mezzanine, gazebo, waterfall, patio and more. We also offer 19 charming hotel rooms, including our exclusive Honeymoon Suite. Whether you have 100 wedding guests or 600 wedding guests; intimacy, elegance and tranquility are guaranteed. Buffet-Style Meal: A fabulous menu catered per your choices of entrée(s)!